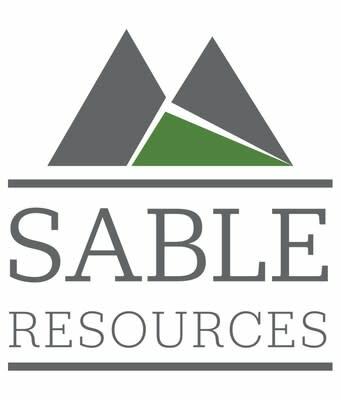 TORONTO , Aug. 27, 2018 /CNW/ - Sable Resources Ltd. (SAE.V) ("Sable" or the "Company") is pleased to announce a warrant exercise incentive program (the "Program") designed to encourage the early exercise of up to 27,205,500 of its outstanding unlisted warrants (the "Warrants") exercisable for common shares of the Company ("Common Shares"). The Warrants are currently exercisable at a price of $0.25 per Common Share until September 8, 2019 . Under the Program, the Company is offering an inducement to each Warrant holder that exercises their Warrants prior to September 12, 2018 (the "Early Exercise Period"), by the issuance of one-half of one additional share purchase warrant for each warrant early exercised. Each new warrant (the "Incentive Warrant") will entitle the holder to purchase one additional Common Share for a period of 36 months from the date of issuance of such Incentive Warrant, at a price of $0.35 . The Program will commence today, August 27, 2018 , at 9:00 a.m. ( Toronto time) and expire on September 12, 2018 , at 5:00 p.m. ( Toronto time) (the "Early Exercise Expiry Date"). The Incentive Warrants will be subject to a four month hold period from the date of issuance. Issue approximately 13,602,750 Incentive Warrants to Warrant holders pursuant to the early exercise of the Warrants on or before the Early Exercise Expiry Date. The terms and conditions of the Program and the method of exercising Warrants pursuant to the Program are set forth in a letter which is being mailed to the registered address of each Warrant holder, posted on SEDAR and is available on the Company's website at www.sableresources.com. the applicable aggregate exercise price payable to the Company by way of certified cheque, money order, bank draft, or wire transfer in lawful money of Canada. To the extent that holders of the Warrants take advantage of the opportunity to exercise their Warrants early, this will strengthen Sable's current cash position and provide the Company with adequate working capital to complete its upcoming exploration programs in Mexico and Argentina . The transaction is subject to the receipt of all final regulatory approvals, including the approval of the TSX Venture Exchange. Any Warrants that are not exercised prior to the Early Exercise Expiry Date will remain outstanding and continue to be exercisable for Common Shares on their existing terms. The Warrants were originally issued by the Company as part of a unit of the Company in connection with a private placement financing completed on September 8, 2017 . The underlying Common Shares and Incentive Shares to be issued pursuant to the exercise of the Warrants have not been, and will not be, registered under the U.S. Securities Act or any U.S. state securities laws, and may not be offered or sold in the United States or to, or for the account or benefit of, United States persons absent registration or any applicable exemption from the registration requirements of the U.S. Securities Act and applicable U.S. state securities laws. This press release does not constitute an offer to sell or the solicitation of an offer to buy securities in the United States , nor in any other jurisdiction. Sable owns numerous mineral projects in British Columbia, Canada , Mexico , and Argentina including 142 square kilometers of mineral tenure and mining leases in the Toodoggone mining district of north-central British Columbia which hosts the past-producing Baker and Shasta mines, and the 250-ton-per-day Baker mill and tailings facility. In addition to that, Sable's activity in Argentina includes developing the Don Julio high sulphidation epithermal project in the San Juan Province .